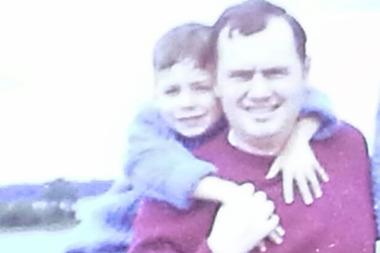 Joseph Connor and his father, Frank. MANHATTAN — Joseph Connor had hoped President Barack Obama's decision to normalize relations with Cuba could mean the possible extradition of fugitive William Morales, who's been wanted for 40 years in connection to a bombing that killed Connor's father and three other people having lunch at Fraunces Tavern. But the possibility of turning over the bomb maker for the FALN terror group never materialized, and now Connor is seeing the opportunity for justice for his father slip further away after the outgoing president granted clemency to Oscar Lopez Rivera, the only person still serving prison time for the attack. Rivera's organization, which demanded independence for Puerto Rico, was tied to at least 100 bombings, most in New York, including the 1982 New Year’s Eve bombings of NYPD Headquarters that left three NYPD officers seriously injured, blinded or maimed. “I feel like my father was murdered by the wrong brand of terrorists, that somehow the FALN and other left-wing terrorists have the sympathies of this government,” added Connor, who also lost a first cousin on 9/11. Rivera, who was convicted in Chicago of terror-related charges, has a growing number of supporters, including “Hamilton” creator Lin-Manuel Miranda, Mayor de Blasio and City Council Speaker Melissa Mark-Viverito. The speaker said that after President-elect Donald Trump won the election she visited Rivera, along with a Chicago congressman, to buoy his spirits amid fears he would serve his entire 55-year sentence. She said she wept at news of Obama’s decision to free Rivera next May. “When you see Miranda dancing around about this, and hear Mark-Viverito and other New York politicians hailing the news, not one of them mentions our family,” Connor said. Patrick Lynch, president of the city’s largest police union, also called the Lopez clemency an “appalling” travesty of justice. “No political agenda can justify the violent terrorist acts in which Oscar Lopez Rivera participated,” said Patrick Lynch, president of the Patrolmen’s Benevolent Association. In 1999, Rivera, now 74, turned down a clemency offer from President Bill Clinton because one of the provisions was denouncing violence and he wanted the release of his codefendant Carlos Alberto Torres. Sixteen FALN members agreed, and were freed, but Rivera remained in prison, and during several subsequent parole hearings he remained defiant without signs of regret. Last week, the city eulogized NYPD Det. Steven McDonald, who 30 years ago forgave a troubled 15-year-old Harlem teen who shot him and left him paralyzed from the neck down, demonstrating a deeply-held religious belief to forgive. But Connor said, while he applauds McDonald's willingness to forgive, terrorists like Rivera and Al Qaeda are different and don't deserve it. “These people knew exactly what they were doing,” he said. “What kind of message does this send” to law enforcement and military officials. Rex Tillerson — Donald Trump’s secretary of state nominee — has said that any future talks with Cuba will include discussions about extraditing Morales, as well as another terror fugitive, Joanne Chesimard, a convicted New Jersey police killer. On Jan. 19, President Obama granted commutation to 330 individuals, including Rivera, because "the President concluded that you have taken substantial steps to remedy your past mistakes and that you are deserving of a second chance," according to the White House website. None of the political wrangling, however, eases Connor's pain. “I think of my father all the time, and of all the things he missed out on, like growing old with his family and seeing his grandchildren and giving me advice when I needed it.